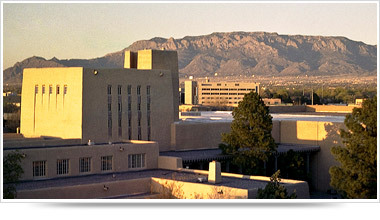 The University of New Mexico holds three Iberdrola Scholarship for Post-Graduate studies in the Department of Electrical and Computer Engineering of this university of the United States of America, within the program of the King Felipe VI Chair of the University of New Mexico, sponsored by the Iberdrola Foundation. This chair was created in 2000 at the University of New Mexico by IBERDROLA, with support from the Ministry of Science and Technology of Spain, and is intended as a catalyst to establish meaningful partnerships between Spain, Latin America and the University of New Mexico. In addition, the Chair will encourage existing and new collaborations with Spain, as well as the support of graduate students in Spain. Students will be advised by the holder of the Chair, Prof Manel Martínez-Ramón, in the field of Information Sciences and related tecnologies. The University of New Mexico will provide funding for post-graduate fellows, consisting of $1,385 per month plus tuition fees and health insurance, travel expenses not included. This funding will cover the entire period that students are enrolled pursuing the graduate degree. The lines of research in this area are related to Machine Learning. The main re-search focuses on the application of machine learning to smart grids, cognitive radio and biomedical engineering, these being current research lines in the Department of Electrical and Computer Engineering.